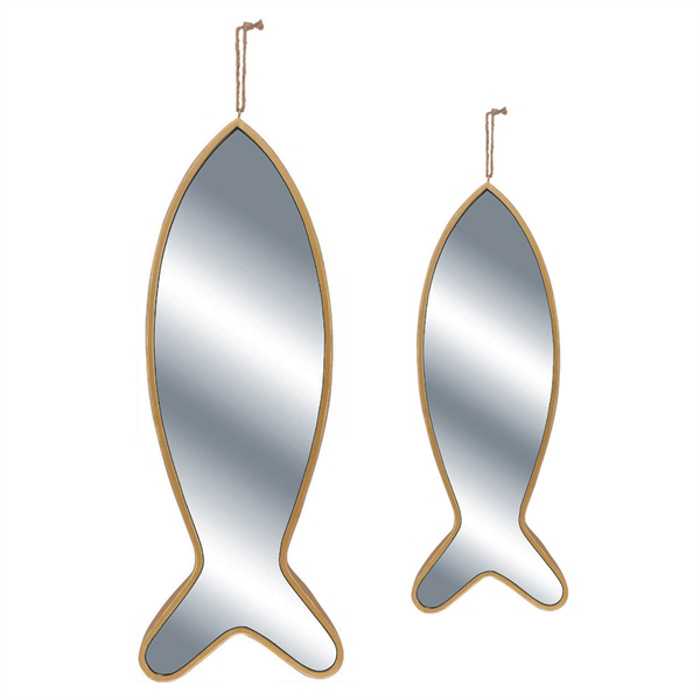 Fish Shaped Mirror Set in metal frame is the perfect coastal accent for any room. Vertical or horizontal, this cool hanging fish set of 2 , unique fish themed mirrors are coated with a cool, relaxing color palette that will compliment any room. 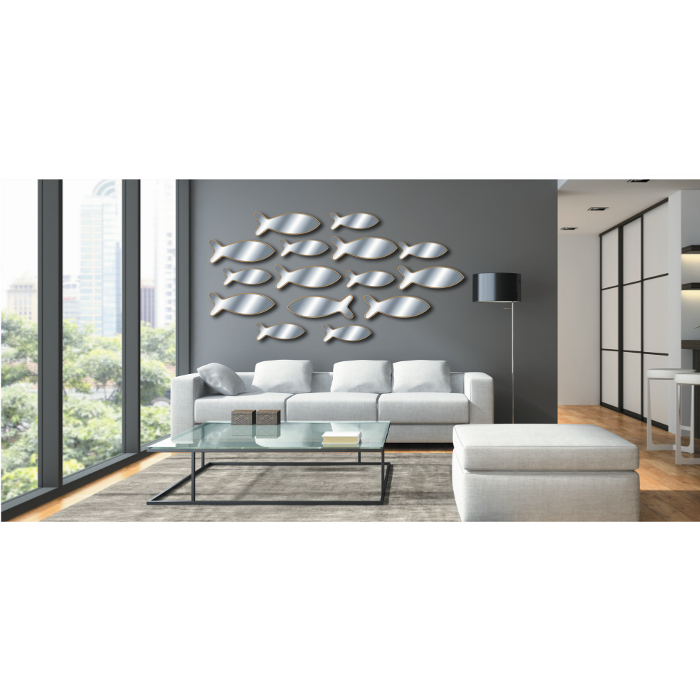 Buy 2 or more sets and create a school of fish to display on your coastal themed walls.